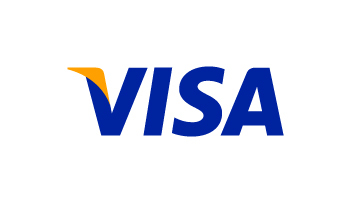 Visa Europe today announced the appointment of Nicolas Huss as its next President and CEO. Huss (48) will join Visa Europe from Apollo Group, where he is Chief Executive, Avant Spain and Ireland, on 1 October. After seven and a half years as President and CEO, Peter Ayliffe has decided to step down at the end of September in order to concentrate on his expanding portfolio of non-executive roles. Under his leadership, spending on Visa cards in Europe has grown from €1 in €11 to €1 in €6.75, point of sale spending on Visa cards has doubled, and the number of transactions processed by the world-class European system, the implementation of which he has overseen, has grown from 4.2 billion to 14 billion per annum. Jan Lidén, Chairman of the Visa Europe Board, said: “I am delighted that the extensive search for a new CEO has resulted in the appointment of Nicolas Huss. His expertise in financial services, gained at senior roles at Banque Sovac, GE and MBNA Bank of America, and widespread European experience, together with his track record of growing businesses, make him a truly exceptional hire. Peter Ayliffe said: “It has been a tremendous honour to lead Visa Europe and establish a successful standalone European payments business with its own processing capabilities. The infrastructure we have developed provides a platform for all European consumers and stakeholders to benefit from more convenient, efficient ways to pay, both today and in the future.